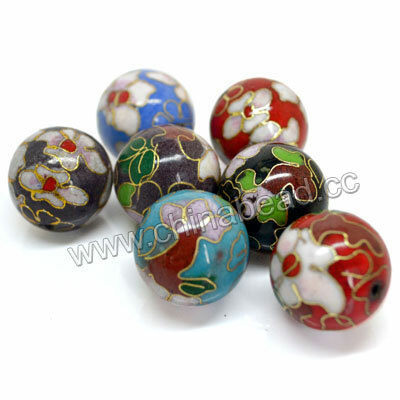 Smooth round Cloisonne Beads--Experience the excellent quality, amazing colors and elegance of our smooth round Cloisonne Beads! They are created by paint patterns with colored enamel on the surface of copper, and then to embed copper wires or filigrees around the patterns, and to burn it at high temperature at last. Their making is complicated, skilled, time-consuming work. 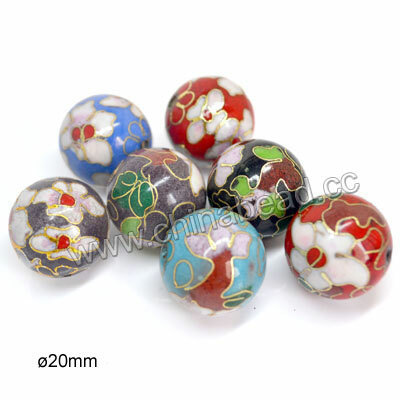 Many amazing colors and different sizes are available to choose from for our high-quality smooth round cloisonne beads. Make your jewelry pieces an unique and eye-catching look with our superior cloisonne beads! NOTE: Our Min. order is for each color each size. China Beads accept OEM/special orders. Contact us now!